Fancy getting your hands on a creepy-cute pair of art dolls from Pins & Needles? 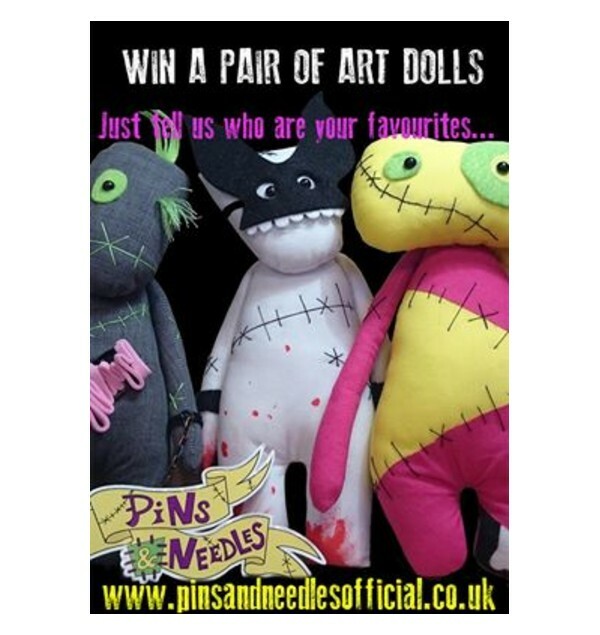 All you have to do is choose your two favourites from the Pins & Needles shop, then head over to the competition Facebook post and LIKE, COMMENT and SHARE, and your name will go into the hat. You have until Halloween to enter, so go pick your faves from the gang now, once you've chosen two dolls, hit the 'enter' button below! Entries via Facebook only. Like, comment and share.